Email has proven time and time again to be a far better marketing tool than Facebook or social media in general. Email has been around virtually since the beginning of the Internet as we know it. Social media, such as Facebook, is still relatively new compared to email. In addition, many social media platforms have come and gone (remember MySpace?). But email has withstood the test of time. Many marketers who use both email and Facebook would easily argue that email is the better of the two at creating leads and getting higher conversion rates and return on investment. 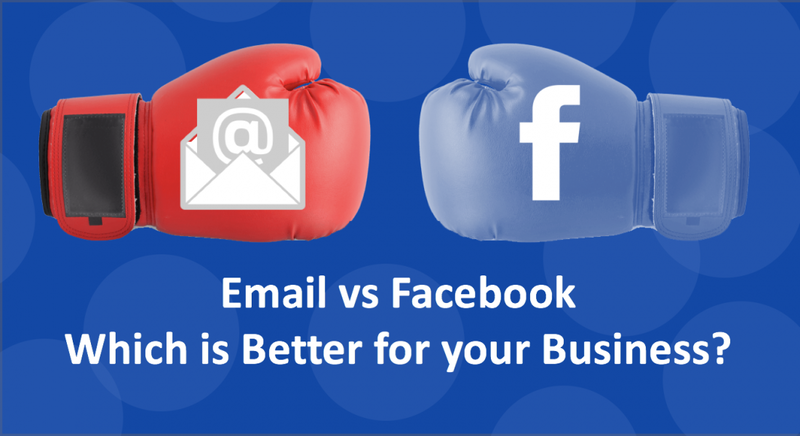 Here are 10 reasons why email is superior to Facebook. 2. More people check their emails daily (91%) compared to Facebook (57%). 3. Email (77%) is the preferred channel for permission-based promotions. Facebook is only 7%. 4. More users check for company deals on Email (44%) versus Facebook (4%). 5. For most people, Email (58%) is their first online interaction of the day compared to Facebook (11%). 6. Email (79%) has a higher reach (inbox placement) than Facebook (1 - 6%). I like how you compared email to facebook. I believe that email is way more effective. Your last point about creating customer value through email vs Facebook is spot on. With email you have so many opportunities to connect with your potential customer and provide value. Facebook on the other hand can be distracting and people jump from one message to the other quite freely and easily. Additionally, event though Facebook is popular I also believe that one of the first thing a person checks in the morning is their email and not Facebook. This tells me that with an effective email strategy our chances of connecting with potential customers is much greater. Thanks for sharing these very good points. Thanks for your comment Nate. With email you have a bit more control (once the person reads you content of course) than with Faceook. You are asolutely right about Facebook being distracting. As such, you have less control. You are just another source of noise in the whole clutter. Very cool statistics regarding email vs. Facebook. I love your photo at the top. Where did you get the numbers for your post? I am intrigued.. The stats came from MarketingSherpa and MailMunch. Great post! I had no idea about those figures. Thanks so much for that. I have an email list and only send emails to them about once a month. I need to start sending far more often. If you are sending emails once per month then you may just consider sending one time more. I recently read a report which indicated that the #1 reason people unsubscribe from a mailing list is because of receiving too many emails. I think once every two weeks is good enough. And better yet, if the emails contain different types of information. For instance, one email could e a newsletter and the other one sharing content or maybe some sort of offer. Tough to argue with those numbers and I’m sure Facebook is looking to remedy that short fall in the very near future somehow. Until then, however, your point is a valid one and proves that email marketing is the smarter way to go. Thank you !P.S> It would help, however, if you cited your source(s). I added the sources on the page – MarkeingSherpa, OptinMonster and MailMunch. Those are great stats – thanks for sharing! I totally agree. There is simply too much content on Facebook that anything you might be interested in gets lost in the feed. Plus, if Facebook shut down tomorrow, you will lose all of your followers there. Best to direct them to your email list. Well put Dee. You really do have more control over the marketing process through email than through Facebook. It is true that people do change their email addresses from time to time. ut if you have an email list of say 50,000 subscribers, even if half were to change their emails you are still good to go. but as you said, if Facebook crashes or shuts down you’d lose everything. I check my email and my facebook daily. However, I delete emails from people who are sending out mass emails. I only open emails from people who I know and who are sending me replies or important information. You really want to communicate with people you know. This is why an important element of email marketing is growing legitimate leads, then people want to read from you. There is already an element of trust and this is why email marketing, when done correctly, has such a high ROI and conversion compared to Facebook. Thanks for the very realistic perspective on Email vs Facebook. I am doing both Email marketing and Facebook marketing. I tend to get new subscribers from my FB campaigns, but the real business comes from my follow up Email series. Thanks for sharing this in a very nice and informative way. You hit the nail on the head. Facebook’s role is mainly to grow your leads. Email is where the real business takes place. But if you think about what you said, your Facebook strategy is actually one aspect of your email marketing strategy. So Facebook should be a subset of email marketing. THanks for your comment Jason. Yes, the older generation are on email more often than social media. ut even the younger generation as well. For sure most youngsters nowadays (e.g. Millenials such as ourselves) have email addresses. Not all have a facebook account. Hello and thanks for sharing I did not know that, you have open up my eyes to this fact. Email are really powerful and can really increase those numbers. Yes, email is still important. That does not mean that Facebook is not important. It is. But the data and the experience of marketers everywhere suggest that email is more important than Facebook. I definitely concur that Email marketing does withstand the test of time with social media and I believed that we spoke on this briefly in your last article. I do wonder if you use social media as far as collecting email addresses is concerned? I hear a lot of Email service providers allow you to integrate signup forms to your social media pages. That is a very valid point, Jessie. Integration must take place between email and social media. Social media such as Facebook, should e used as an opportunity to generate email leads. This is awesome information! They say you learn something new every day, and today I testify – I learned something new and phenomenal! I did not realize the ‘wonders’ of email versus the ‘trendy’ Facebook (no offense intended to any Facebook readers). However, the facts are the facts. Thank you, Kevon for this useful bit of information. 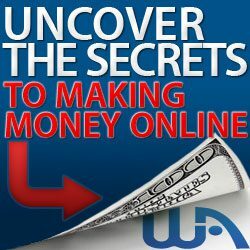 It will certainly change the way I do things online for my business. I’m happy that you found the article interesting and beneficial for your business. Wow! Your site and article are really easy to read. The facts about Facebook and Email are astonishing. I could never have thought how much more effective Emails are. This made me consider using an auto-responder and building a relationship through email. Where would you suggest me to start looking for good strategies on using email as a marketing tool? Do you suggest auto-responders and if so, which one is the best. Thanks for your comment. I do recommend auto-responders for your email marketing strategy. You can start with MailChimp as it is free for the first 2000 contacts. You can then either upgrade or switch to another service if you wish.